To capture how Mekong Youth Assembly is now today, the ‘Becoming Mekong – Youth” publication was created. 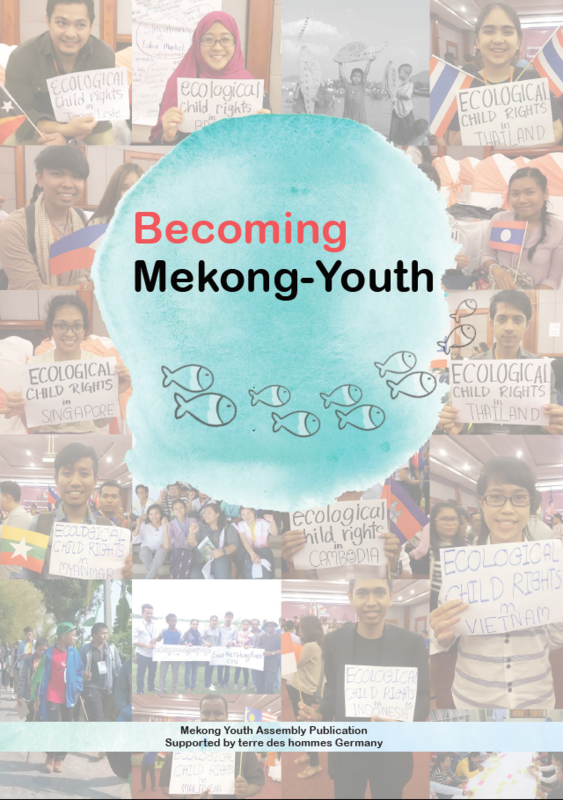 This publication tells you story from the beginning until the Mekong Youth Assembly is now to work for defending Ecological child rights and youth rights; and promote child and youth participation in decision making. The development of large-scale hydropower projects, mines, and industrial estates often creates negative impacts on the environment and livelihoods of local people in Mekong communities. Yet, these people are seldom consulted and have the opportunity to participate in decision-making processes around such so-called developments. These Mekong region development projects have direct negative impacts on children, youth, and their communities. This has led to children being forcibly relocated, quitting school, and becoming stateless people and victims of child labor and child trafficking. It is very important for people, especially young activists in the Mekong region, to work together to promote greater government accountability for developmental planning. From experience and seeing the issue happened, the Mekong Youth Assembly was created. Ordinary, Mekong Youth Assembly idea was conceived in 2010, following the inspiring examples of the World Youth Parliament for Water, and the Youth Parliament of the Rhine River Basin. Mekong Youth Assembly advocates for strong participation of children and youths who act for empowerment and who call for and respect children’s rights and youths’ rights for themselves and others. 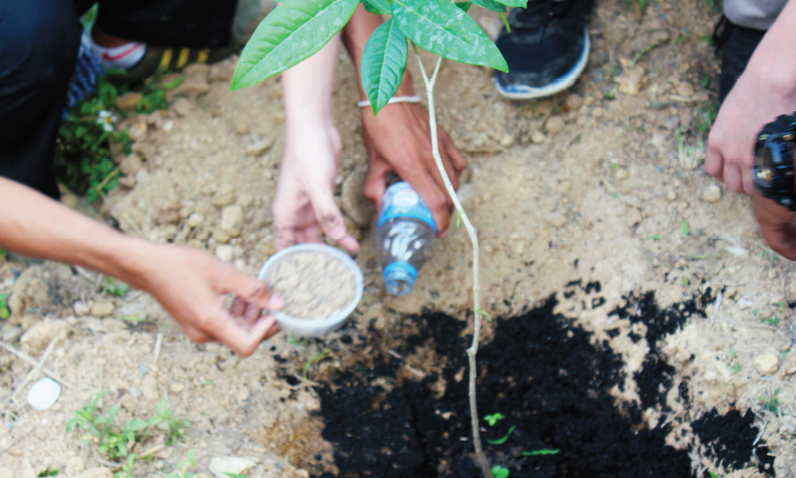 They actively contribute to help shape their surroundings, and the policies, programs, projects and the participating organizations that safeguard environmental concerns. The leaders of the Mekong Youth Assembly want to reach out to other young people in the Mekong region to join their cause of protecting the Mekong. Youths also want to dialogue with decision-makers, who are duty-bound to protect the environment, and in particular the Mekong, to help ensure that laws are passed, and thereafter, fully enforced, for the protection of the Mekong. The Mekong Youth Assembly members however, do not only expose the issues, but also herald what the Mekong-based youth organisations and networks are doing to protect and preserve the Mekong. Mekong Youth Assembly speaks of and celebrate the small victories they and other youth groups gain. The members of Mekong Youth Assembly inspire other youth groups even outside the Mekong with their stories, lectures and talks. 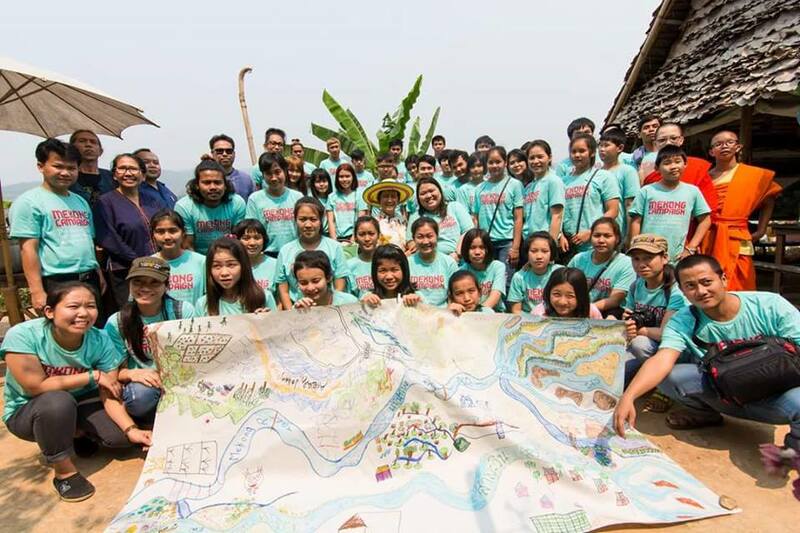 Over the past three years, the Mekong Youth Assembly has been working with youth groups, partner organizations and individual young activists advocating for youth and children’s rights, environment protection and just development. Young Mekong activists from six Mekong region countries: China, Myanmar, Laos, Thailand, Cambodia and Vietnam are strongly committed to being part of environmental and human rights protection and in participating in decision-making processes and public policy related to ecological child rights and developmental projects. To create a space for youth and children, Mekong Youth Assembly promotes and enhances the youth capacity, organizing media campaigns and policy advocacy opportunities for youth-led groups in the Mekong region to make sure their voices are heard. The members of the Mekong Youth Assembly are currently engaged in clarifying and deepening the discourse on Ecological Child Rights (ECR) which brings into focus the close correlation between environment and child rights. To capture how Mekong Youth Assembly is now today, the ‘Becoming Mekong – Youth” publication was created. This publication from Mekong Youth Assembly is a strong message from young people who advocate for positive changes in development policy and practices in their communities with strong support and recognition for the youth initiatives and youth led activities from related stakeholders. In sharing these stories from their communities in this publication, Mekong youth groups hope to inspire citizens, especially young people and children throughout the Mekong region, to consider the social and environmental impacts of dams, mining, industrial estates, power plants and other large development projects and to join the call to create rights-based, inclusive public participation in development policy planning to ensure a better future for all youth and children in the Mekong region.